220V/50-60Hz/1Ph AC grid power and 50V-380V DC solar power. At daytime with sunshine, 50V-380V DC solar power will be the main power supplier for hybrid solar air conditioners. DC power generated by solar panels will be 100% consumed in priority position. The insufficient power will be supplied by AC grid power. 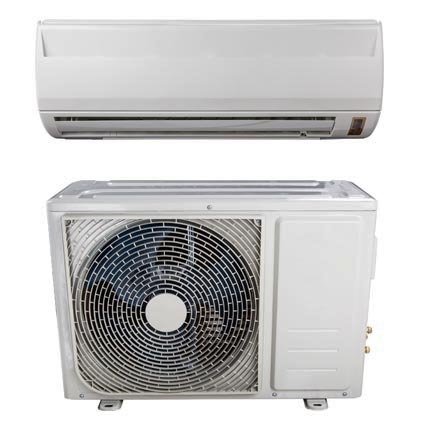 There is a power supply auto-balance distribution system inside HARVEST solar air conditioner. When sunshine is strong, less power supply comes from grid power. When sunshine is weak, more power supply comes from grid power. And when there is no sunshine (in cloudy/rainy days or after sunset), there will be no any electricity generated by solar panels, then hybrid solar air conditioners will be 100% powered by AC grid power.